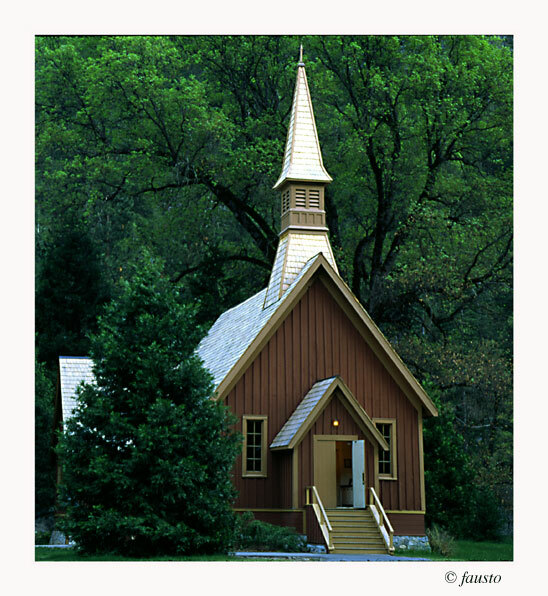 This chapel is located in Yosemite National Park, California. The perfect frame for a wonderful image. The photograph is very pretty. The place must be wonderful! Congratulations, Fausto Araujo. Very beautiful composition and beautiful place !! What a lovely scene! I especially like the open door and the beckoning, inviting light above it. A ver faithfull image...like this !